We go about the daily life with this and that, meeting and greeting, deciding and knowing, learning and training, building and bridging, condensing and broadening all that stands our way. The same to be said in any aspect of our self, vibrationally, emotionally, thoughtfully. We begin a journey each day to become present with ourselves on awakening in the morning until will rest at night, supposedly. Energy moves around within us as we go about our daily lifes with insights from previous conscious interactions included within desires and belief’s of what is or should be something or not. We build a picture over periods of minutes, months, years, decades to grasp what is next to come about with greater inside and depth of progression. Giving direction to the way we perceive things should go rather than except its path as is, we are not alone…meaning that the energy around us is as intelligent if not more so than we are as it has know hold-ups or disagreements and just exists with and around it becomes. Yet they are us as well as them if we perceive it as oneness or wholly part of a global infrastructure, the planet. The conscious build up of elements and perceptions and belief’s or educations from friends, family, schools, work, societies, governments is to belief that this framework of existence is the only thing of matter…funny really because it like everything is partly true and false, perceiving at this area or scope of Vibrational energy we are matter hence all that is around or within us is matter orientated, if you inspire with your whole self you need to include the aspects not known as well as known of thyself to create the depth that we are as ourselves. Hence objects today are mostly incomplete by perception as they are inspired from a mindset that does not include aspects deeper or interchangeable or dimensional than we currently reside as ourselves. Increasing awareness increases creative depth and broadens scope of diversities to become something that not only is but feels and vibrates with a premise of depth than the objects prior to becoming. This being a matter stream whereby elements of energy needing action by means of matter (us) become that to which is desired or created by mental observations and awareness in the build and architecture approach of any given thing. This is why things of natural development, organic from the earth will always be greater than our self’s creation as it includes the aspects relevant for all including that which is us. The deeper the self awareness the greater understanding and broadening of appreciation that this or these matter objects are perceived and understood. Apple, Banana, Orange…etc. The natural elements adhere to more than we currently comprehend about it, streams of information and people towards to comprehensible understandings of how something is or is not good for you. My advice is keep it pure and from the natural earth, as tried and tested many foods, many countries there is always something deeper in the natural or organic objects. Which if that is the same as I then the depth I have of me becomes relevant to that extreme whereby layers of Perceptional depths are apparent that become relevant to the digestion of food matter. As you inspire it it inspires you, it’s a give and receive, cause and effect, if you have no appreciation to that which perceivable becomes you then the intake is to meet that desire and the energy will evolve in the direction of mannerism or attitude. If you do have appreciation to that which perceivably becomes you then the intake is greater to enhance your matter life to become that to which you desire. It’s a matter of respect as we respect others for helping us we honour those in kindness or generosity or return of friendship. Although being an apply is not appealing conversation at another layer of self it is just what it is and doing what it is doing to become more evolved than before, the more you honour the object the more it becomes inline with the direction of light or desire to enhance or enrich the self by means of energy. Same to be said for people, planets, animals….hence there is no difference between them apart from form which is Perceptional in itself as an apply has many forms and diversities as do we. Consciousness is segmented by manner it becomes the embodiment of the current moment or instance so that focus or reality is the relevancy given or interpretated to the self awareness or understanding. Similarly in computer system thereby being representative of that which already exists within 4D before mental action and matter density seen as it is today. Coming from the other side rather than the density towards the lighter energy the matter stream is developed to the extent of that which is the density to meet the requirement of desire of matter becoming that which is present in an object of matter. Do believe don’t believe is relevant to the aspect of the object as is it exists on both counts. The question therefore answers the question it is what it is and we decipher or comprehend it our way to then progress a mental aptitude to create and manifest an understanding of what something already is. Its like how many ways can we perceive it before we get bored of perceiving it and accept it as it is in the first instance. That quote is relevant to life, the less we actually manifest by means of thoughts and words in density the more we see in a lighter Vibrational matter before the events or processes occur prior to thoughts and physical action. Hence less need for action in this regard but everything still gets addressed as it is addressed in emotional or Vibrational realms as being the reality in this regard. 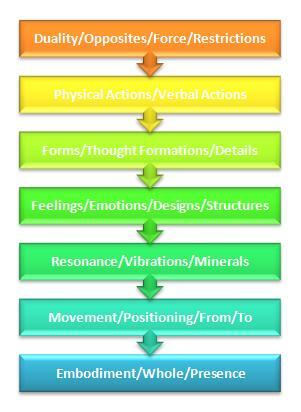 Where the focal point of your conscious position comes from is where the interaction of the cause and effects occurs. Life occurrences and dealings can become less dense by means of working emotionally or vibration ally hence the need for the object or matter stream to exist at the current Perceptional reality of consciousness is not necessary. 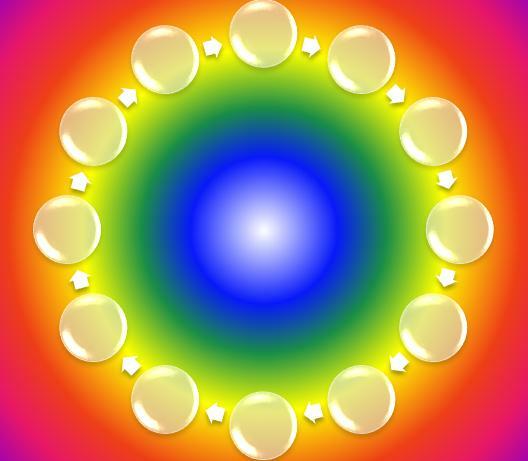 This only works if all work in the same regard as it is not this way a shifting occurs with consciousness to work at many levels or layers of these aspects so you continually move or shift to the desired realities to progress it towards your current centre whole self. Which in turn resonates outwardly to others to do the same in their regards as they so choose or not. I do not know everything or I know nothing is something I constantly remind myself to inspire new interpretations and understands to progress the Perceptional presence I currently have to become broader and more knowledgeable than before and I still know I know very little and cannot know more than I currently know and that I am only touching the surface of something far greater and grander than the planet itself, it needs a lot of people doing what they are doing working with what they are working with and building and developing the evolution towards a direction that suits all life forms, the planet, the universe to become one with all that is just by letting go.